Jilted Royalty Tools Of The Trade Crew Urban Clothing & Apparel at Electrowear. 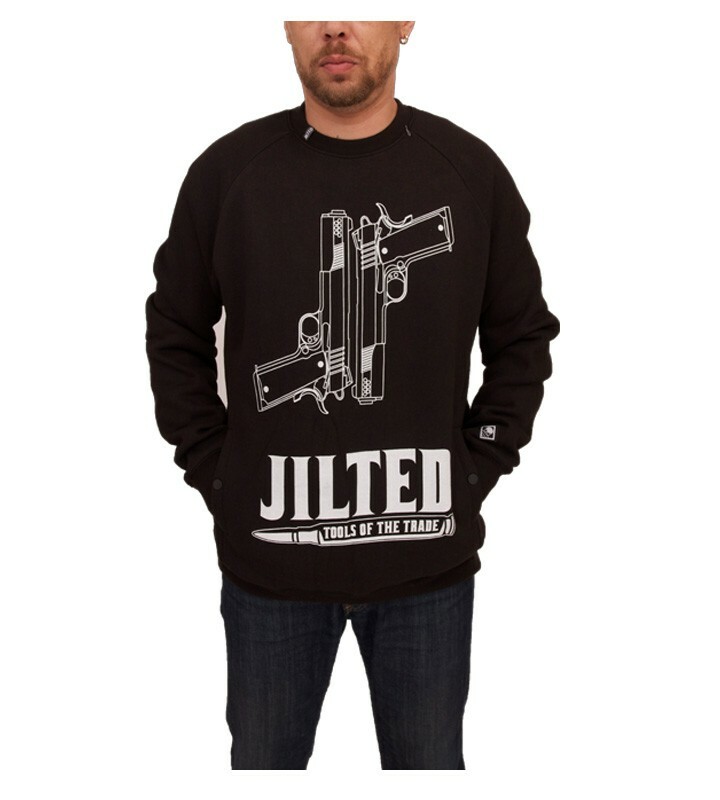 Another crewneck style jumper by Jilted Royalty, this crew comes in black & with a large graphic print design on the front & quoting the words JILTED` & `TOOLS OF THE TRADE`” in red across the bottom, it has two side pockets that close with stud type buttons, this jumper also carries the Jilted Royalty logo labels on the sleeve & neck of the jumper, it has fine ribbed style cuffs, neck & waistband. This crew neck jumper is made from 60% Cotton, 40% Polyester. Machine wash at 40C on reverse.